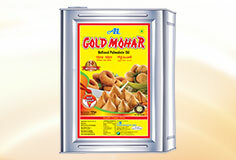 Also called as Peanut Oil, Groundnut Oil is a mild tasting vegetable oil that is derived from peanuts. 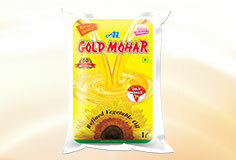 Extracted from groundnut / peanut, the botanical name of which is Arachis hypogeae, Groundnut Oil has a deep yellow color with a high smoking point of 4500 Fahrenheit, making it ideal for cooking. 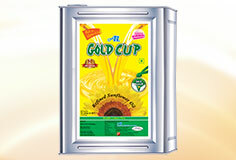 We are one of the leading Groundnut Oil suppliers in India. One of the healthiest edible Oils, Groundnut Oil is naturally trans fat-free, cholesterol free, and low in saturated fats. In addition, it is also high in unsaturated fats, especially mono-unsaturated fat, like olive oil. Further, it is also a rich source of the antioxidant, vitamin E and phytosterols, which benefit heart-health, lowering the level of bad cholesterol in human body without lowering the level of good cholesterol. 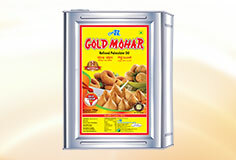 Extremely popular in India, Filtered groundnut oil has been used in India since generations. Today, India is the third largest producer of groundnut oil in the world with annual production of over 5-6 million tons. Gujarat, Andhra Pradesh, Tamil Nadu and Karnataka are the leading producers in the country accounting for nearly 75% of the total output. Among the many names in edible oils segment, Agarwal Industries Ltd is one of the most prominent Groundnut Oil suppliers in India. 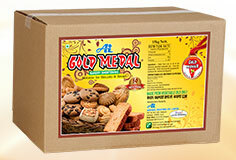 Agarwal Industries Ltd offers an excellent array of Filtered Groundnut Oils at market leading price. 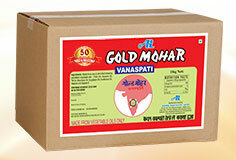 we are well known Groundnut oil suppliers in India. 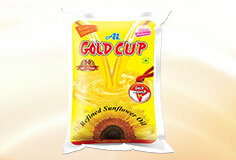 Optimum quality raw material, sourced from trusted vendors in the industry are used in the manufacture of groundnut oil. 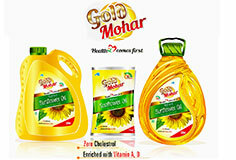 Like all processed vegetable oil, Groundnut Oil too is refined, bleached and deodorized. 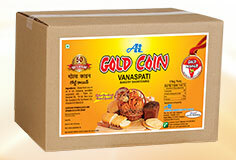 This helps remove the allergic protein component of the oil, making it non-allergenic. Agarwal Industries Ltd, one of the leading Groundnut Oil manufacturers in Andhra Pradesh, has an authentic nutty aroma of richness and high taste. 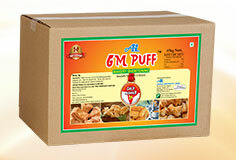 In addition, the unique anti-foaming nature of the Groundnut Oil provided by Agarwal Industries Ltd, ensures the long shelf life of the oil as well as cooked/ fried food. 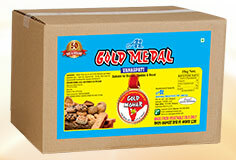 With its pleasing and occasional light nutty flavor, the Groundnut Oil supplied by Agarwal Industries Ltd, one of the leading Groundnut Oil manufacturers in Andhra Pradesh, works well with all types of cooking and is much popular with many customers due to its ability to provide great taste.